In the murky shadows of Boston’s Chinatown lies a severed hand. On the tenement rooftop above is the corpse belonging to that hand, a red-haired woman dressed in black, her head nearly decapitated. Two strands of silver hair—not human—cling to her body. They are homicide cop Jane Rizzoli’s only clues, but they’re enough for her and medical examiner Maura Isles to make the startling discovery: that this violent death had a chilling prequel. Nineteen years earlier, a horrifying murder-suicide in a Chinatown restaurant left five people dead. One woman connected to that massacre is still alive—a mysterious martial arts master who is now the target of someone, or something, deeply and relentlessly evil. Cracking a crime with bone-chilling echoes of an ancient Chinese legend, Rizzoli and Isles must outwit an unseen enemy with centuries of cunning—and a swift, avenging blade. 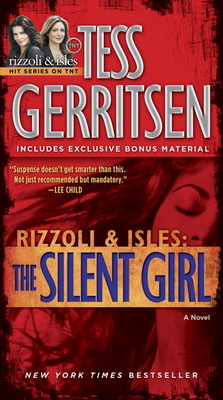 Don’t miss Tess Gerritsen’s short story “Freaks” in the back of the book.